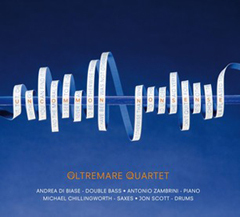 (from the album "Uncommon Nonsense" by Oltremare Quartet - Andrea Di Biase on Double Bass, Michael Chillingworth on Saxes, Antonio Zambrini on Piano and Jon Scott on Drums. Composition by Andrea Di Biase). Live Recording at Vortex Jazz Club in London on May 9th and 10th 2011 with Kenny Wheeler on Flugelhorn, Liam Noble on Piano and Andrea Di Biase on Bass. Composition by Andrea Di Biase. 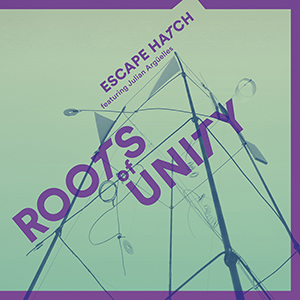 Escape Hatch Trio live at Vortex Jazz Club (London) on 23 sept 2012. Ivo Neame on Piano, Andrea Di Biase on Bass, Dave Hamblett on Drums. (Composition by Ivo Neame). "Jurassic Quiet Zone" live at Shaftesbury Jazz in April 2013. Francesco Bigoni - Sax, Stefano Carbonelli - Guitar, Andrea Di Biase - Double Bass, Dave Hamblett - Drums. (composition by Andrea Di Biase).